August Motorcars is proud to offer this incredible Sierra 1500 SLT,by GMC,presented in stunning Cobalt Blue Metallic over Jet Black and Dark Ash Leather Appointed Seat Trim and perfectly complimented by Ash Wood Trim. Expertly detailed by our professional detail bay upon arrival,this rugged,and very well cared for 1500 Sierra comes to us in great condition,from just one owner and passes our stringent 100 point inspection making it August Certified. August Motorcars is excited to offer this absolutely stunning Macan GTS by Porsche,presented in gorgeous Sapphire Blue Metallic over Black Partial Leather Seat Trim with Alcantara Inserts and perfectly complimented by Black Lacquer Interior Trim. Expertly detailed by our professional detail bay upon arrival,this highly optioned and incredibly sporty Macan GTS comes to us in impeccable condition from the original owner,with a 3M front end protection,no accidents and passes our stringent 100 point inspection making it August Certified. August Motorcars is honoured to have available this sleek 2016 Cayenne GTS by Porsche,presented in classic Porsche White over Black Leather and Alcantara Seat Trim. Beautifully detailed by our expert detail bay upon arrival,this sporty and gorgeous GTS comes to us in impeccable condition straight from the original owner,with no accidents,very low Km's,and passes our stringent 100 point inspection making August Certified. The Cayenne GTS provides a concentrated dose of enthusiasm. The 3.6-litre twin-turbo V6 engine offers a level of power that's usually only to be found on the racetrack. An output of 440 hp leaves nothing to be desired,while the lowered steel spring suspension with Porsche Active Suspension Management (PASM) ensures a more direct driving experience. A typical racing sound is provided at the push of a button by the sports exhaust system,fitted as standard. This can be seen from the black twin tailpipes and heard from the throaty roar which changes depending on your driving style. Athletic,powerful and muscular. The Cayenne GTS is a car designed for big emotions. Racing emotions. Great Lease and finance options available. 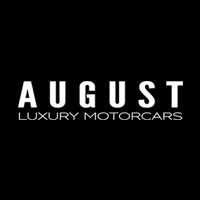 Stop in and see us today,email us at sales@augustmotorcars.com or call us toll free at 1 (250) 860-0444 for more information. August Motorcars is excited to offer this incredible Cayenne GTS by Porsche,presented in sleek Jet Black Metallic over Black Alcantara with Leather Seat Trim and perfectly complimented by Garnet Red Stitching. Expertly detailed by our professional detail bay upon arrival,this sporty and extremely well cared for Cayenne GTS comes to us in impeccable condition from here in B.C,with no accidents and passes our stringent 100 point inspection making it August Certified. Tires: P295/35 R21 Fr. & Rr.